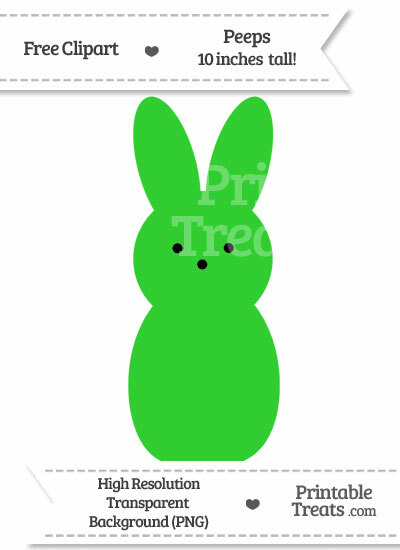 Get this super cute free lime green Peeps clipart you can use for your scrapbooking, card-making, sign-making, and other wonderful crafts. In this download you’ll receive one super giant clipart file that is about 10 inches on its widest or tallest side. It is perfect for use with scrapbooking, digital scrapbooking, creating children’s activities, posters, art, whatever you want! The clipart file is high resolution at 300 DPI and is quite large. You can easily re-size the clipart file using your favorite image editing program or just pop it onto Word and print it out. There is no watermark on the actual clipart file you’ll download. Love this clipart? Click here to get it in 100 different colors – in one download file! If you would like to share the clipart file with a friend, please send them directly to this page so that they can download a copy for themselves. Please do not link directly to the download file.